It’s okay to want to be more than just the person that cooks, cleans and cares for your child all day. I often say that I’m a stay-at-home mom that works. I’m the one that takes care of my twins, does the house work, cooks for the family, while still running a successful business. If you’re a stay-at-home mom and you want to make money at home then I say go for it! There are many side business ideas moms can start as a side hustle. It’s not wrong that you want to bring in extra income to help your financial situation. If you have a skill set or experience, you can turn that into a profitable business. And you know what? I’m happier that I can pursue my own thing outside of being a mom and wife. I control my days, go to play dates or have the opportunity to take a break in the middle of the day to take my twins to the park. 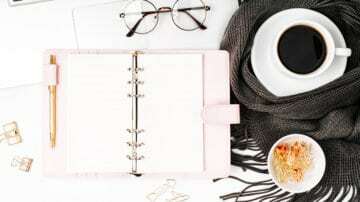 There are so many ways stay at home moms can make money at home with one of these side business ideas, but if you want to be truly successful, there’s a better way than answering phones or taking surveys. I’m a freelance writer, coach and I also create social media images for clients. I set my rates, scale my business and pick and choose who I want to work with. Do you want to do that also? The first step is to have a blog. So make sure to check out my step-by-step tutorial on how to start a blog! Here are 22 freelance services on how to make money as a stay at home mom. Well, duh! Of course I’m going to mention freelance writing since I’m a freelance writer! The quickest way to make money blogging is to blog on other people’s blogs. I read that there are over 150 million blogs out there. While not all of them are business-related, a good chunk of them are. What skills do you need to be a freelance writer? And you know what? I have a course for bloggers and aspiring writers wanting to break into freelance writing! In less than six months from starting, I was able to generate a full-time income only working part-time hours as a freelance writer. If you’re not sure freelance writing is for you, I have a free email course to get you started! Take a look at Lindsey Riel of Pretty Darn Cute. She loved designing and she was the friend that you’d go to if you ever had a computer problem. She put her two loves together and created Pretty Darn Cute Designs. She’s making a living doing what she loves. And you know what? It’s all passive income because these website designs are already created. Passive income is the best! No, I don’t mean coaching your son’s soccer team. What I mean is offer your expertise and knowledge by mentoring or coaching others. And don’t think you need some sort of accreditation or a PhD to be a coach. If you have a business background, then you can offer business coaching. If you built a great following using Pinterest, then you can offer your Pinterest coaching to other bloggers. Or, if you’ve been blogging for a while and know a thing or two about how to create an engaging blog, you can offer a blog coaching service! This beats answering emails or taking surveys any day. To get started with coaching, you first need to have a blog where you demonstrate your expert knowledge in your field. Once you have that built-in trust factor, you can set up a coaching page and start promoting it. Okay, being a developer means more technical stuff is involved. If you know the “under the hood” of websites and understand the coding required to create a website from scratch then you can offer this as a service. My husband is the website developer for all my sites (including this one). Web developers are in high demand and if you have an eye for design, you’re gold! 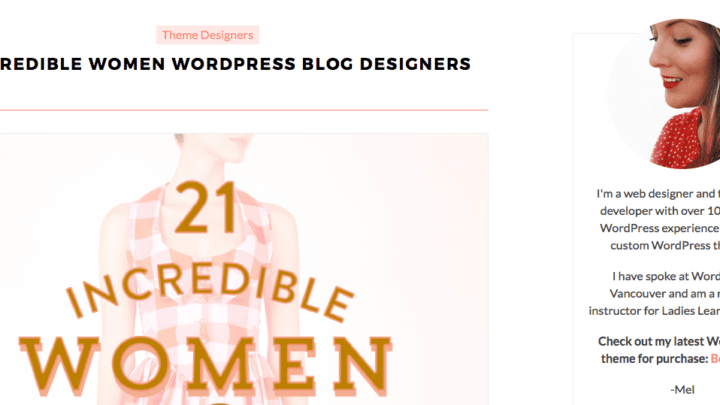 Mel of A Prettier Web develops WordPress themes for women. 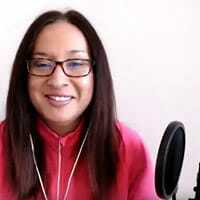 What’s great about Mel is that she provides free workshops to help you learn how to master WordPress! I love images! Right now, mompreneurs, bloggers and freelancers are devouring up funky images, swanky images or feminine images for their site. There are many self-taught graphic designers and photographers out there just freelancing it up! Take a look at Rachel of Haute Stock. She is a mom who has an amazing eye for branding design. She creates stunning images for mompreneurs and lady entrepreneurs. If you have a good camera – sorry, no iPhone camera – then you can create images like that and sell them. There are a lot of professional bloggers that own more than one blog. They’re usually in charge of creating the content schedule for all their blogs, managing writers, editors, and sourcing and creating images. You can lighten their load by offering blog management services. This might mean setting a schedule, publishing content, creating graphics or formatting and editing posts. While I wouldn’t suggest you only offer blog management (throw in some freelance writing! ), it can be a big bulk of income for you. Take Carrie Smith of Careful Cents, for example. She diversifies her income with blog management and monetizing her blog. A big chunk of her income comes from managing other people’s blogs. If you are comfortable using WordPress, publishing posts and sourcing images, blog management might be a great way to supplement your income. You know what else a lot of professional bloggers have? Social media accounts! And even though there are automation systems available, like Tailwind or Hootsuite, you still have to go in and set the schedule. What skills do you need to be a social media manager? What’s great is that I’m pretty sure social media will be around for a long time so you can build an entire business around social media managing, consulting, or anything in between. Kelly of Stellar Media Marketing only does social media consulting and management for small biz owners and seems to be doing good! Are you the blogger that always points out grammar mistakes in other peoples comments or blog posts? If so, make money from it! Become an editor or proofreader. Caitlin Pyle is a known proofreader online and she has a course to train other people to be proof readers. There aren’t any special skills you need except have an eye for mistakes and errors. To get started, make sure you set up a LinkedIn profile and a blog to promote your proofreading skills. Caitlin also offers a free email course to get you started as a proofreader. A very lucrative freelance service you can offer is copywriting. It’s writing that convinces someone to take action. In the online world, that’s usually writing that convinces someone to buy, sign up or try out. Going from freelancer – where you offer services – to mompreneur – where you sell products – means you need to be a great copywriter. If you like itemizing and organizing, having a freelance bookkeeping services could be right up your alley. While I’m not sure how much you can charge but it looks like you can bring in around $300/month per client. Advertising on a freelance marketplacs like Upwork is a good start to finding consistent work. I would caution you, however, that to be truly successful you will have to venture away from these places and do it on your own. Everyone is into Pinterest lately. It’s a great search engine and if your target market are women, then Pinterest should be your focus. And if you’re a stay-at-home mom, you can bank on this. There are many entrepreneurs who don’t know how to create stunning visuals. Kristen of Believe in a Budget didn’t start off offering Pinterest image services. It was only with time and practice that she mastered creating a Pinnable image and has offered her skill as a service. If you know how to use Canva or Photoshop, why not earn some income on the side offering this service? You can also offer social media banners and other graphics (Pinterest) as a service. If you enjoy creating visuals and you have a firm understanding of PhotoShop and Illustrator, you can custom design graphics for bloggers and small businesses. 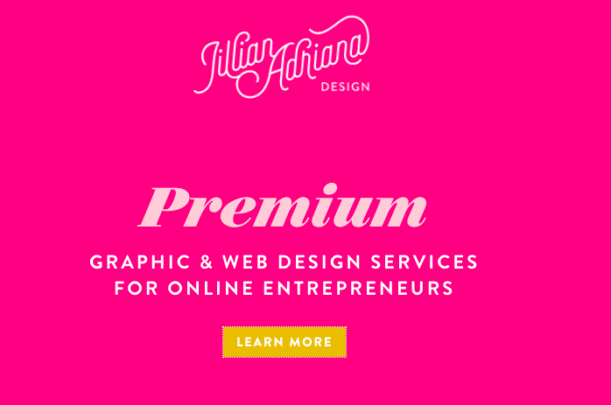 Jillian offers graphic and web design services like for sales pages for example. Every business and blogger needs a brand. A brand encompasses what you want your business or blog to stand for. It’s also the visual representation of your blog or business. If you peruse on Pinterest and you can easily tell which site the Pin came from, that’s effective branding. If you have a thing for pulling together colors, objects, textures and visuals, you can help other bloggers and businesses form their unique brand. Isn’t magazine writer the same as a freelance writer? Well, yes and no. The type of freelance writing I do is with online businesses. Magazine writers typically deal with editors and publications. They have to pitch their idea to an editor each time they want to get paid. Being a magazine writer also relies a bit on having some journalism background, but it isn’t required. Typically pay is high – $1.00 a word or more – and finding work isn’t difficult. Do you schmooze with influencers in your niche? If you’ve been around the block and understand how to approach thought leaders online, you can offer blogger outreach services to other bloggers and entrepreneurs. While I doubt you can make a living only offering blogger outreach, you’ll probably have to offer other services – maybe social media management or blog management – to make a comfortable living. 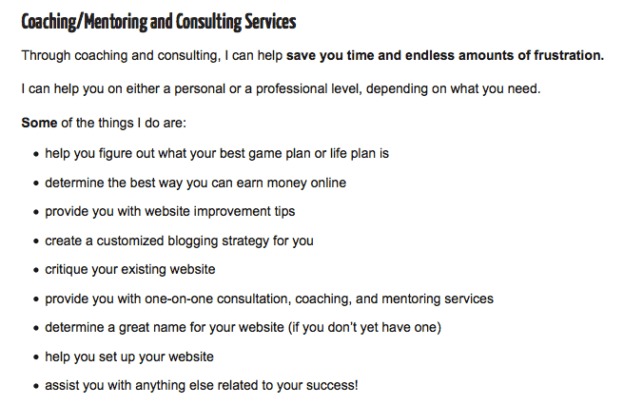 Elizabeth is a digital content consultant and offers many services, including blogger outreach. If you’re not interested in writing blog posts or magazine articles, you might enjoy writing eBooks for small businesses. A lot of online businesses need eBooks for their lead magnet (a freebie they offer in exchange for an email) and will seek out a writer. What’s great about eBook writing services is that each project is typically big. I’ve written two eBooks and each were around 4,000 – 6,000 words. You can bill anywhere from $200 per 1,000 words upward to $400 per 1,000 words depending on the topic and research required (i.e. case studies, interviews). An easy way to break into freelance writing is to start with ghostwriting. When you don’t have a lot of experience, the pay will be low – $.06 per word to $.10 per word. But, once you develop expertise in a niche, you can charge anywhere from $200 – $300 per 500 words or more. I offer ghostwriting and have several clients that I ghostwrite for. This means I don’t have my name attached to my writing and I can’t divulge who my clients are. I typically ghostwrite for businesses or popular influencers. Have you built your list to a sizeable number? Know how to craft an email newsletter that has a high click-through rate? Start ups and professional bloggers might need help setting up their email marketing campaign. This makes one of the best side business ideas out there because email marketing is a skill. You can bundle this service with other services like writing and social media management and create service packages for your clients. Having a marketing background or experience with marketing is a big help to making this business successful! Now, I’m not too familiar with this service but I have read about it on work from home sites. If you have an education background as a teacher or educator you can be a virtual tutor. Tutor.com has openings for online tutors, but I don’t know if you work as an independent contractor or are hired by the company. In any case, it’s a great way to earn some extra income at home. The only prerequisite for this service is having a quite area to tutor. If you have small children this may not be the best service you can offer. A lot of creatives online need logos to complete their brand. Logo design is in demand and you can definitely make a healthy living from it. While you can get a logo for as cheap as $6 or $7 on Fiverr, with time you can build credibility and build a nice niche for yourself. Elyse Myers creates professional-looking logos for entrepreneurs and businesses. So, even if you don’t have any experience with Photoshop or Illustrator, if you enjoy drawing, you can create design packages for your clients. Do you speak another language? Use this side business to earn some money online! Companies, publications, authors or educational institutions might need a translator for their content. This helps them reach more customers and boost their sales. As a translator you’ll need to know the nuances between languages and may have to come up with alternative ways to say a phrase in a new language. Pay typically starts at around $.12/word but if you know some obscure language combinations you can earn much more. 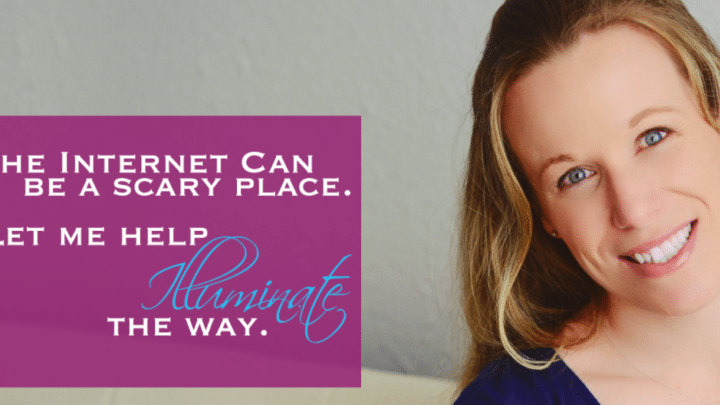 Most of the services I mentioned can all fall under virtual assisting. As a VA you’re responsible for many things such as blog management, images, email marketing, blogger outreach, research, editing etc.. While you don’t want to be a jack of all trades, I would suggest focusing on some core VA tasks that are in high demand. Make sure to check out Abbey of the Virtual Savvy for some great info! Use These Side Business Ideas to Make Money! What’s great about these side businesses is that you can turn them into passive income. As a freelance writer I created a course. It’s evergreen and is always available which means passive income every day. And you can have this too! 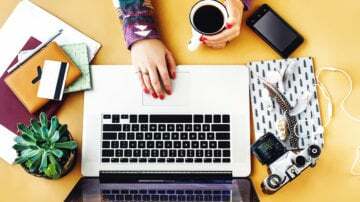 Over to you – what other online freelance services are there for stay-at-home moms? Share in the comments. Great ways to actually make some money! Helpful article for me. Thanks for sharing. So glad you enjoyed freelance services you can offer as a mom! THese are some really good ideas! I started my own blog but found that I actually hate writing myself 😅 I did sign up for Cailtin’s Proofreading course. I would love to find someway to make money as I learn. Thanks for the tips! That’s awesome! Caitlin is an awesome teacher for sure! Good luck blogging! signed up for her ecourse. offer those services online. I’m trying to brainstorm. That’s good! Enjoy the proofreading course! Yes, there are different ways to monetize your blog for sure. Personally, I having a service was the first way I made money on my blog. It’s easy and you can make money quickly! Thank you Elna! you have done a great job through this article. It must be helpful for Moms at home to kill their spare time and increase their income . Thanks for sharing your knowledge of staying at home with a good income. You’re welcome. Glad you found thees freelance services for stay at home moms useful! Thank you Elna for this well thought out comprehensive list. Although I’ve already began freelance writing, I was wondering what my other options were and now I see I have kits to chose from. Would you happen to know basic rates for Email Marketing andBlog Management? Pinning this article for sure! Thanks again! You’re welcome. Glad you enjoyed this freelance services! Not sure about those basic rates! Sorry! Although, your directed audience is for moms, this dad has been helped by the info in your blog. My wife and I both are in the medical field and have been looking for something to do for extra money…. I found your blog and have been inspired! God bless you! Hello, I am currently working full time and looking to take the plunge towards being a SAHM but want to continue bringing in $$$. The issue is im from Tijuana Mexico. Do you know of any oportunities available to non US citizens? Dads and non-moms are welcomed to Twins Mommy! 🙂 The information is relatable to bloggers in general 🙂 I’m glad you want to start a blog and make a living from it! Enjoy finding the right monetization strategy! Hi Elna, great post! I am a freelance Graphic Designer and I am struggling to get new clients at the moment. I tried call calling into businesses, face to face but nothing has come out of that. I am interested in your idea of doing graphic design/logo design & branding for bloggers but I am not sure really were to advertise my services! Any ideas? Thanks a lot. Thanks for stopping by! To market your business, you can try starting a Facebook page and joining Facebook groups where your target audience hangs out. From there you can network and share your services! Thanks for the idea Elna! All the best! Well written!!. Thanks for bring out all of those sites in separate sections. Often we hear about them but can’t get them altogether. Now your post will definitely help us to go along right way. This is such an interesting read! Having diversity associated with your business is key to success, and that includes clients! Very nicely done. Thanks so much for sharing! Glad you found some services to try out! This just broke my heart. I am working though EBA right now to get my blog going but, I have been freelance writing for over a year. Sadly, I work or a content mill, one in particular. I wrote my first ebook for a client last week and it was 12,000 words and I made $155. I was ecstatic and after reading this I realized I should have made a heck of a lot more. I need to start getting my own clients and leave the content mills behind. I’m glad you found this post 🙂 I’m sorry to hear that you’re struggling to get high-paying clients as a freelance writer. I have lots of wonderful resources over on my other site: https://elnacain.com Enjoy! Thank your fr this comprehensive list. I think many bloggers want to monteize their hobbies but lack the knowledge or confidence. This is a great place to start, thank you for sharing. You’re welcome. It’s amazing how many ways you can make money online eh? I love offering a service! Thanks so much. Glad you liked this list. Yeah, services are in my heart for sure. It’s how I started making money online! Thank you for being such an encouraging resource! I’m just getting started and your tips and advice are so appreciated! Thank you! Any tips and suggestions are greatly appreciated! Thanks for these great ideas. I was wondering do you have a post where you recommend locations for va’s to post their services. No, I don’t have a post specifically for VA’s. I freelance write, however, and I know a lot of resources for that! Honestly, I have not decided what yet. I recently started looking into guest blogging. I’ve received 2 opportunities so far. Yeah, guest blogging will help you with marketing your service or blog. I haven’t guest blogged for this blog but I did land a paid gig for Twiniversity and was able to provide my Twins Mommy link in my author bio. Good luck! Thanks for sharing this information. I was aware of some of this, but I learned lots more just by reading your blog. It was very informative and well written. I recently started my blog. It’s still a work in progress, but I’m currently going through training. I’m looking forward to this journey because it looks like you are having lots of fun which is exactly what I desire to do. You’re welcome. Are you going to have a service when you start your blog? That’s great if you do. It’s the quickest way to earn an income. This is what I did when I started blogging in 2014. Can I just say that this is the best and most comprehensive list I’ve come across. I love your work, Elna, you’re a great inspiration. Your blog is beautiful, your writing is articulate, and your post structure – immaculate! Aww thanks so much girl! So glad you found this post useful! I had fun coming up with all the different services. Are you interested in freelance writing/blogging or something else? This article is great! I’ve considered blogging for some time now! I’m a mom of three children all with health issues. The top being a Type 1 Diabetic – Who keeps me on my feet. Thanks so much! That’s excited that you want to start blogging. Blogging and working from home is totally awesome for people with health issues. Can’t wait to visit your blog! Hello Elna…. I absolutely love love love this list. I am going to implement these ideas as soon as possible. You rock! Continue with these informative articles. I am a stay at home mother as well with 3 children. I am looking to start a VA business. So thanks again.. So happy to hear this 🙂 YOU just made my day. I’ve never looked into being a VA but I hear it’s totally lucrative and fun! Personally, I like freelance blogging over doing admin stuff like email and filing 🙂 But, to each their own. Wow! Three kids eh? I have twins and they are more than a handful I tell ya! You are a mama boss for sure! Thanks for pinning my post! Love it! And so happy to hear you got some ideas from this list of freelance services. There are so many that I couldn’t include all of them, but I think I included the best for stay-at-home moms! Thanks for stopping by! Loved this. Thank you for sharing. I am new to the blogging world, but not to social media, marketing and writing, so I am trying to figure out just what services I would offer. So this is really a great list and gives great ideas! Thanks so much. There’s a lot to learn about blogging and monetizing your passion. Freelancing is a great interim between generating income from your blog and eventually having a product. Glad you will come up with a service or two for your blog! These are all great suggestions. These are definitely the type of services a stay-at-home mom can do and still have time for tending to the kids and family. Thanks so much. Yeah, there are a lot of freelance services, but I thought these would work with stay-at-home moms. It’s amazing HOW many services you can offer online! You enjoy your week too girl! This is a great list of ways to make money as a stay-at-home mom. Some of these things I do, but never considered making money doing it. Thank you for sharing these ideas with us! That’s great! You have the experience so why not monetize it, right? That’s great you found some services you already perform. There’s so much opportunity online it isn’t even funny! Good luck and consider freelancing it up! This was a really well written and informative list. I did not realize how many opportunities are available. Thank you ! Yeah, I’m sure there are more than 22 freelance services you could offer, but I just didn’t have the time! Are you looking to do some freelancing? Hi i am also a freelance writer and would love to know more about what you do. Thanks. My other blog is ElnaCain.com where I talk about freelance writing. Feel free to check that blog too and thanks for commenting on here. These are all so great! Thanks for the ideas! I love the blogger outreach one. Thanks. Yeah blogger outreach is awesome for freelancers. I’m actually thinking about hiring someone to help me with blogger outreach since I don’t have time to do all that networking. It’s a great service to offer for sure! Not only is this incredibly well-written, but it’s also very comprehensive and flexible. 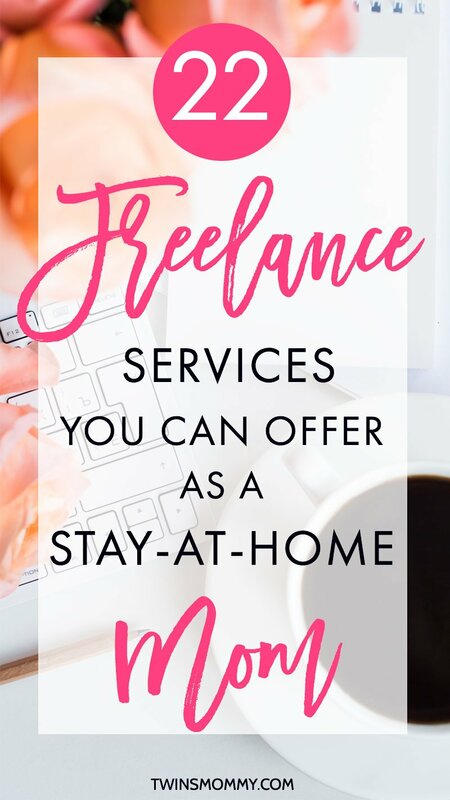 All of these freelance services are perfect for many stay-at-home-moms, but also for those with disabilities or other such issues that prevent them from working outside the home. Nice seeing you “outside of work” 🙂 Thanks for the “well-written” props too. You are right – these services are great for many other types of people besides moms. I know a few people with disabilities and they are thriving online with a very successful business (i.e. Jon Morrow for example).